If I will to develop a new payment plugin (Italian KeyClient), by one existent, doesn't is sufficient copy modifiying the names (and xml contents) from folder administrator/component/com_hikashop/extensions/plg_ ... and plugins\hikashoppayment\newplugin.. ? I tried but the plugin remains invisible; what's miss? The plugin need to be published in the joomla plugin manager. If you don't see it, it means that there is no entry for it in the jos_plugins table. 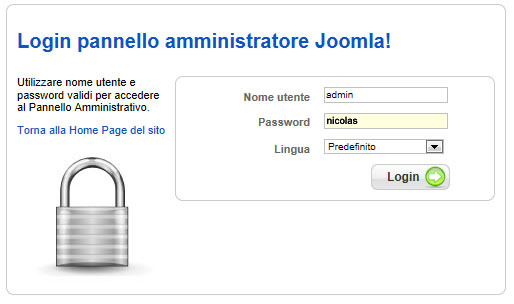 That entry is normally added automatically by joomla when you install a plugin via the joomla installer. Also, changing the names is a start but the implementation of the integration with the payment gateway is unique to each gateway. That means that you will also have to change the code to make it work with the specificities of the payment gateway. 2. Of course. I have all characteristics for the new payment plugin. I have attached. Could you give a look to see if, in your opinion, there are difficulties to develop? That sounds like a standard payment gateway so there is no problems in implementing it for HikaShop. I developed new credit card plugin payment (KeyClient). I copied from epay (similar) modifying name in keyclient; after I modified the configuration (keyclient.xml) and all php (keyclient.php, keyclient_configuration.php, keyclient_end.php) as in administrator/components/com_hikashop/extensions than in plugins/hikashoppayment. Could you give a link to your shop so that we can try and see what could be the problem ? You're trying you have php executed in a js file. That's not possible. As you can see you have several urls in there. That's not possible. You should urlencode all the parameters of that URL. I see that you call open_KeyClient_window() when you click on the pay now button. Why not just submit the form like all the other payment plugins ? but I don't know how make a standard hikashop plugin payment for sharing. You can make a zip of the files and it should be installable via the joomla installer. For the language strings, you should use already existing translation keys. HikaShop should already have all the translation keys you want in its default translation file. Hi, please, can you share your plugin, if it is properly functioning? Can I install it via Joomla installation manager? We don't have this plugin, so you will have to wait for maxgag51. This plugin should be installable with the joomla extension manager. Hi, I'm looking for an Italian credit card payment plugin. This plugin seems helpful but I haven't understand how to register my bank count. Can you link me the bank to create my bank account? I hope I can help you to find a payment gateway for joomla hikashop 3.3.0 and 3 for payment by credit card Cartasi Italian system with x-pay. Do you have any solution? thanks in advance for the help!